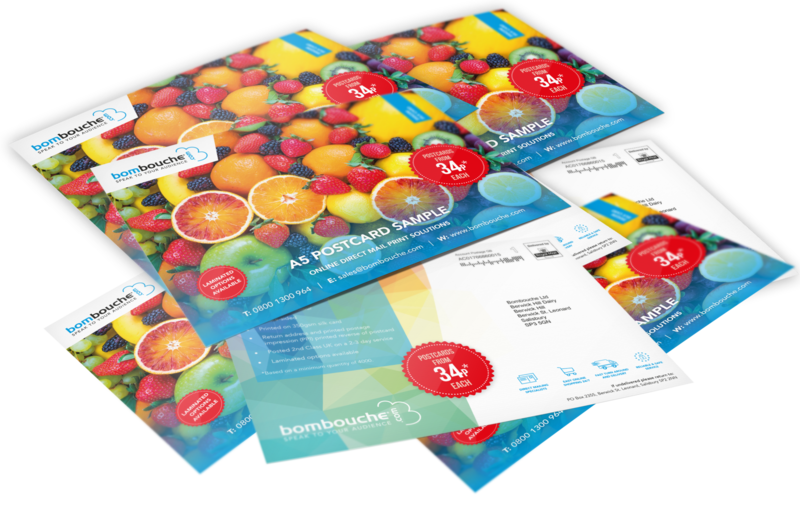 Here at Bombouche we offer a A5 and A6 postcard printed in colour on 350gsm white paper. All you need to do is select which size you require and which quantity suits you. We have a range of qualities on offer from a small order of 50 or up to 1000. If you require a different quantity or size please Contact Us and we can help you on layout, design or discuss creating a Bespoke Product.